The Punnett Square is a foundational genetic principle. It helps scientist predict which traits an offspring can have. 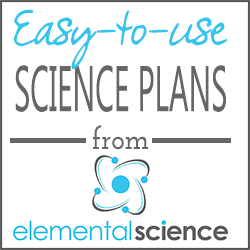 In today’s post, I wanted to provide you with the tools to introduce this concept to your students. Coded within the DNA of an organism are thousands of genes. Each of these genes contain the code for certain characteristics. Genes are passed down from the parents to the offspring. 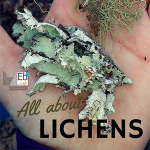 They come in pairs, called alleles, which are either dominant or recessive. The combination of these alleles determines which characteristic can be displayed. Gregor Mendel, an Austrian monk, discovered this principle as he conducted an experiment with peas in the 1860’s. He observed that his pea plants had different traits – tall or short plants, wrinkled or smooth pods, green or yellow peas, and white or purple flowers. 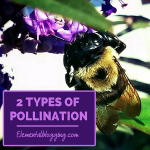 He conducted an experiment in which he controlled the breeding of the plants through pollination. Through this experiment, he discovered that some traits appeared more often than others. We now know that those traits are dominant. The other traits that appear less frequently are known as recession. We also know that hybrid offspring result from a combination of a dominant trait and a recessive trait. Typically the dominant trait masks or covers the appearance of the recessive trait. 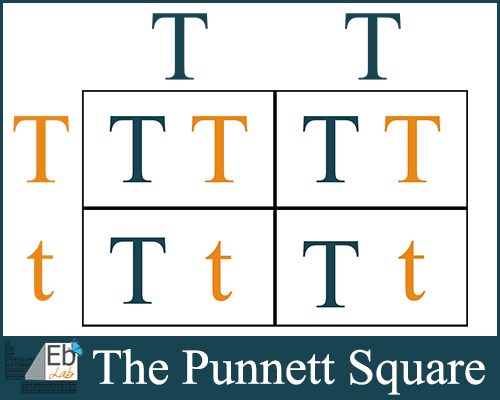 Thanks to the work of Reginald Punnett, we have a graphic representation of what Mendel discovered known as the Punnett Square. Using this tool, we can predict the potential offspring of a set of parents. Allele – The different forms in which a gene can occur. 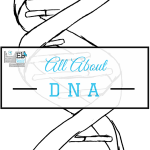 DNA – The material that forms the genes and chromosomes of all living things, short for deoxyribonucleic acid. Dominant trait – A characteristic which overrules the lesser seen recessive trait. Genes – A set of instructions that tell your body how to develop found on the chromosomes. Recessive trait – The characteristic which is overruled by the dominant trait. 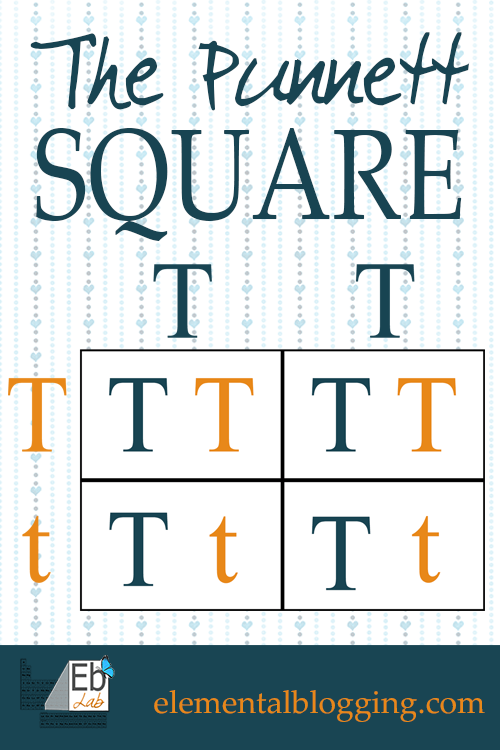 Let’s look at the Punnett Square for the tall/short allele genes (T = tall gene, t = short gene). The possible combinations you could get would be dominant tall (TT), hybrid tall (Tt), and recessive short (tt). This Punnett square shows us that these parents have 50% chance of producing a dominant tall offspring, 50% chance of producing a hybrid tall offspring, and a 0% chance of producing a recessive short offspring. 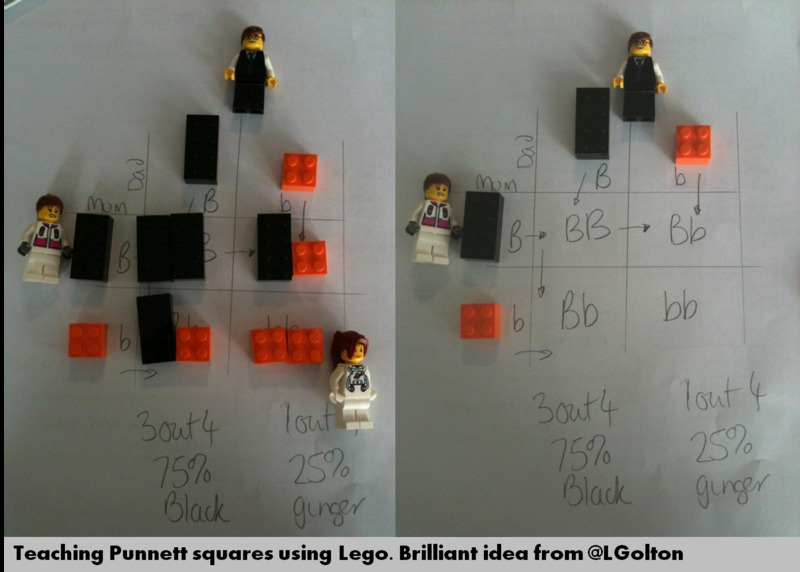 Lego Punnett Squares – Have the students use an full brick for the dominant trait and a half brick for the recessive trait. Then, have them create several different Punnett Squares using the different options for parents (dominant – 2 full bricks, hybrid – one full brick and one half brick, and recessive – 2 half bricks). Punnett Square Worksheet – Click the link to download a free worksheet to use with your students as you work through this material, including a few sample problems. 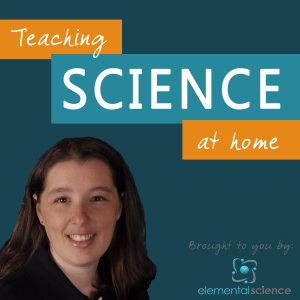 I trust that these suggestions will help you teach the Punnett Square to your children! If you have questions along the way, please don’t hesitate to share them below.